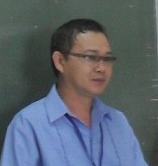 Ferdinand Sy, Office In-charge of the Assistant Schools Division Superintendent of La Carlota City has composed a prayer for the grades three and six pupils of the 23 elementary schools in the Division of La Carlota City, who will take the National Achievement Test (NAT) this March 2 and 4 respectively. I know prayer when it comes from the heart with real intent and with sincerity yields results. Prayer is the humblest way of putting away pride, acknowledging one's infirmities that no one is above all, merciful, loving and forgiving than the Lord Almighty. presence every moment of this day." Amen!God hears our prayers wether small or big.wepray anytime,anywhere and everywhere as if we are just talking to God.i don't believe in memory parayer ,i say what I want say to Him. I say AMEN to that! I agree, praying will really help, for GOD answers prayer! This should be practiced by all teachers or those who will facilitate an examination. God bless! Sharing with you a link to a book of prayers I wrote and published. I may be not as religious as everyone, or a sin-free person, but I make sure that I pray to God everytime I feel thankful and sorry. I also pray to seek guidance and help. A personal prayer may be better but prayers that are familiar to everyone also helps. I will be sharing this to my two sisters teaching in grade school. :) Of course, I will share this to my daughter as well. Thanks Sir Gil for posting this! God bless! The prayer is nice but should not simply be recited. It should only be a guide and pray from the heart. 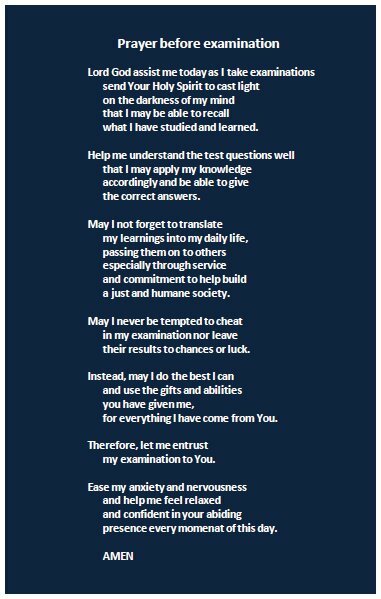 I could have used this prayer while I was studying :) I hope some students online will see this too. Paryer is a beautiful way to communicate our thoughts to god. Thanks for sharing! 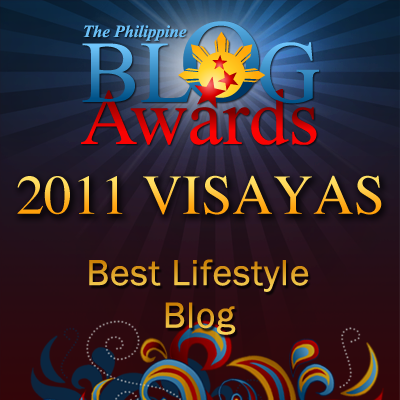 All the best to you and your blog. Happy 2012. The prayer was so warm. This prayer will surely guide the students in taking the NAT. Having a sincere prayer is the best before doing anything. I'm sure God hears every single word. Have a Blessed New Year Sir Gil. Indeed a very very good prayer! very nice prayer but do this in the US and you get sued in sharing the prayer for the students. hehe. Anyhow, i love the prayer made. it made me realize how one should be prepared for any exam so the prayer makes more sense. Nice prayer. God always gives us what we need whenever we do really need it. He blesses us in so many ways that we only need to ask. This is surely one way to do it.